A very simple to use set of apparatus to compare the heat conductivity of four metal bars. 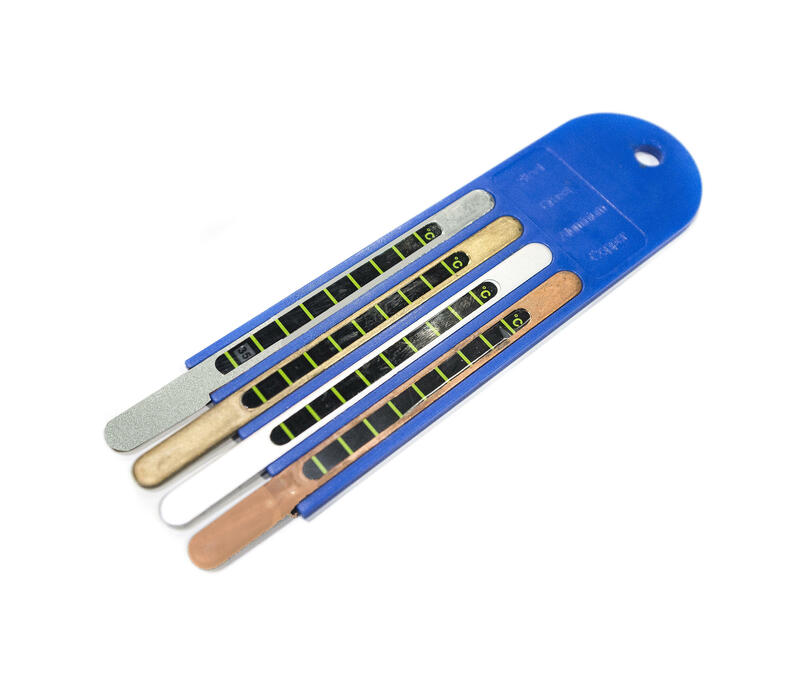 Four bars, Aluminium, Steel, Copper and Bronze are set into a plastic holder. Each bar has attached to it a solid state thermometer strip. The unit is suspended from a clamp stand with the bar ends dipping into a beaker of very hot water. Comparison of the rate of heat progress along the four bars may be made by direct observation.